My Anova Precision Cooker was totally an impulse buy when I saw I could still get in on the ground level during their Kickstarter campaign a couple years back. I never really felt the need to own a sous vide-style device before, but there was something appealing to having it at my disposal. After finally receiving it though, I couldn't think what I normally cook that I wanted to try to improve via sous vide, but then it hit me—pork belly! 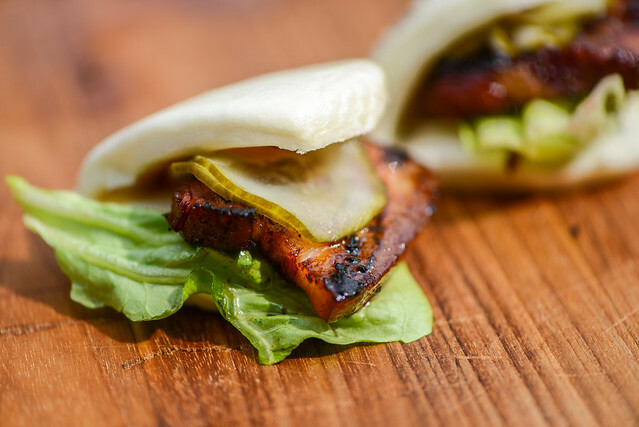 My pork belly has been alright, but never as soft and luscious as what I get in a restaurant, and saw a slow, controlled cook as being a way of bringing my belly game into the big leagues, and these buns certainly did that. I'm not one to buy into kitchen gadgets—I try keep my collection of tools and cookware to the essentials. I always classified immersion circulators in that "gadget" category, thinking they were something I really didn't need to cook well and likely wouldn't even use if I did own one. 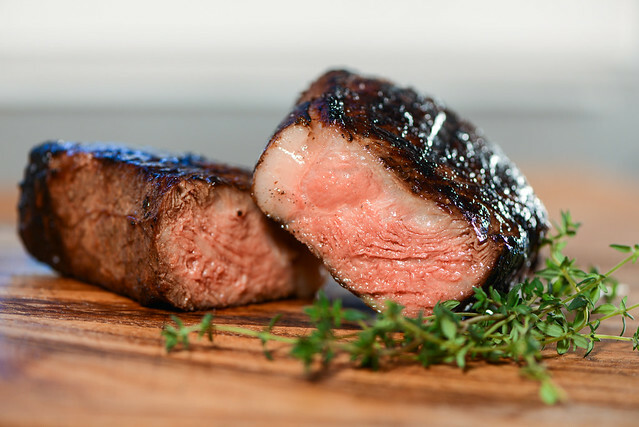 Then a couple years ago, there was a Kickstarer for the Anova Precision Cooker, which brought along with it a pathway to own a quality circulator for a reasonable price and I bought in on impulse. Although I was initially excited when the device came in the mail in Nov of 2014, my instincts were right—I didn't see it as necessity to cook, and therefore it sat untouched for a long time. I decided it was time to change that and have recently starting to experiment with the circulator and the results are beginning to sway my opinion on sous vide being relegated to second string in my cooking arsenal, I mean just look at these gorgeous New York strips that I cooked in a water bath, then finished over the flames.